What a fun, eventful, cookie-ful, positive-vibes-ful weekend I’ve had over here at Single Girl! First of all, I cannot tell you how excited I am with the progress of this project and how well it continues to be received. All y’all that are supporting, tweeting, FaceBooking and talking about this are making this the positive movement that it’s becoming. So, thank you, I’m sure I will write something like this many more times in the future 🙂 Now onto the fun! Cookie Thursday is rapidly becoming the highlight of my week, and as if that wasn’t enough awesomeness for one day, this week there was more – my cousin Brianna came to town! I love this girl like a sister/bff. She’s the greatest. She happened to be in town to audition for my alma mater for grad school and make a weekend out of it and I was all too happy to show her the power of what a cookie can do. If you remember, this week’s drop was Hell Gate Social on Astoria Blvd over by the water. Another place I had been meaning to try but never gotten around to. If I’m being honest, my lack of going was out of sheer laziness, being that it’s so far away, but it is worth the drive! Or, as the weather gets better, the bike. 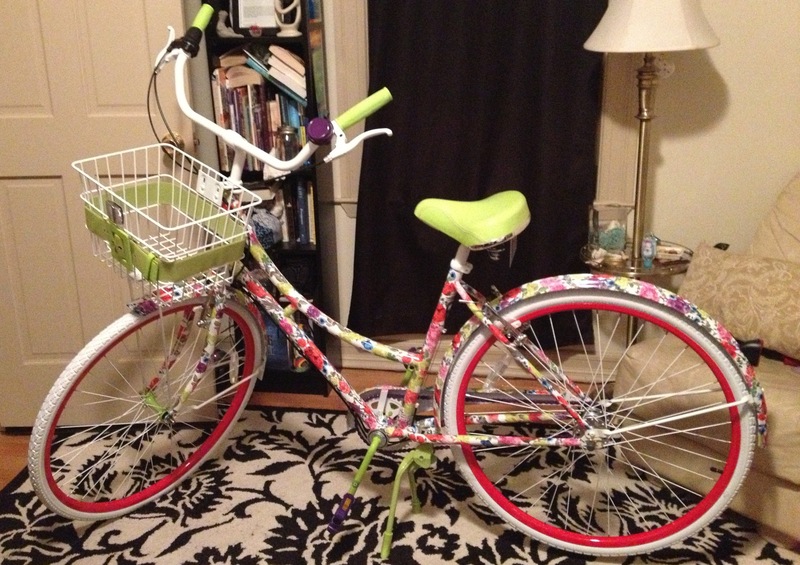 (Omg, I canNOT wait to start biking again, and this is why: Yes, that baby is mine, thanks Mom!) But I digress. I came in at about 10pm after a rather unusual (read: stressful) day and was very happy to be doing something that I knew would make me feel better. I started to approach the bar at one end, but heard “Come down over here, I’ve been waiting for this all day!” YES!!! I tweeted about it, word got around and they knew I was coming, and what it was all about! You know when the Grinch’s heart grows three times it size? That. I officially met John, who manages the bar there, and it turns out he is the brother of someone I met at Sparrow. 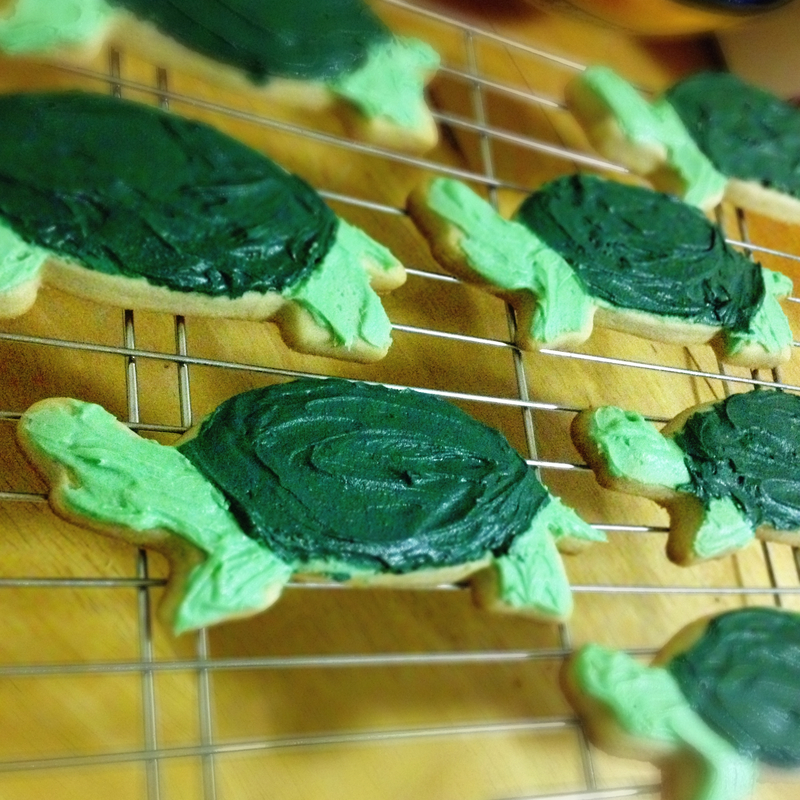 He had a cookies last week and couldn’t wait for Thursday to come around for their turn. I had a great time chatting with him and a patron Rebecca, and also another patron, Rene, who I guess teaches cooking classes out of his apartment and wants to buy my bread. You really never know where life is going to take you. There was also a hip hop showcase (who knew??) going on, and I gotta say, it was not too bad! All and all, it was a fantastic experience, a great night and connection with Hell Gate Social and I’ll be back in on Tuesday to pick up my plate and get the official word on where I’m going next week. Saturday came far too soon, as we spent quite an evening out at Strand after we left Singlecut. As I thought about what cookies to make, I remembered Amanda mentioning that the general consensus regarding their favorite cookie of mine was the almond cookie. Now, thus far in my Single Girl journeys, I have been pretty adamant about sticking to the secret family recipe for chocolate chip cookies when I make drops. They are pretty beloved across the board, don’t have any nuts for those folks with allergies, and also the thing I have been making since I was probably 4 or 5. I can whip up a batch while I practice my juggling. 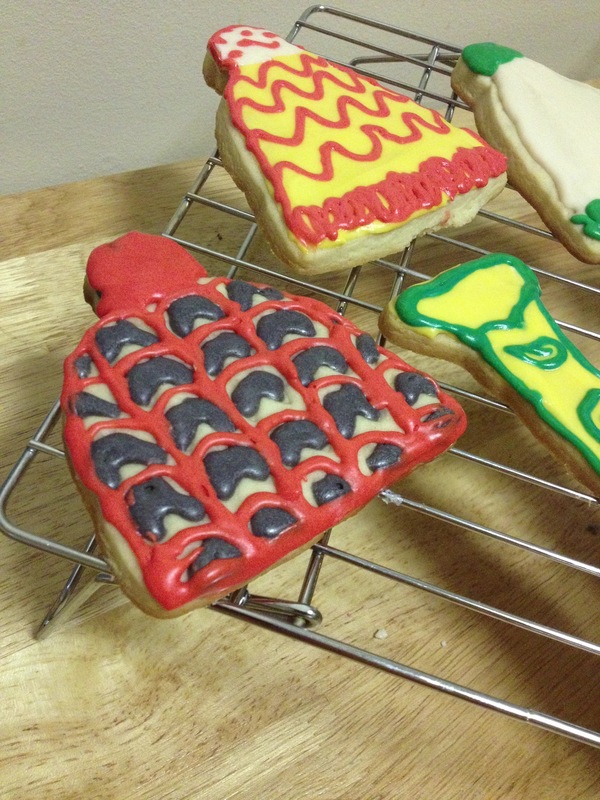 But I have been known to have fun with a cut-out cookie recipe that my family makes generally only at Christmastime because I like the artistry of decoration. 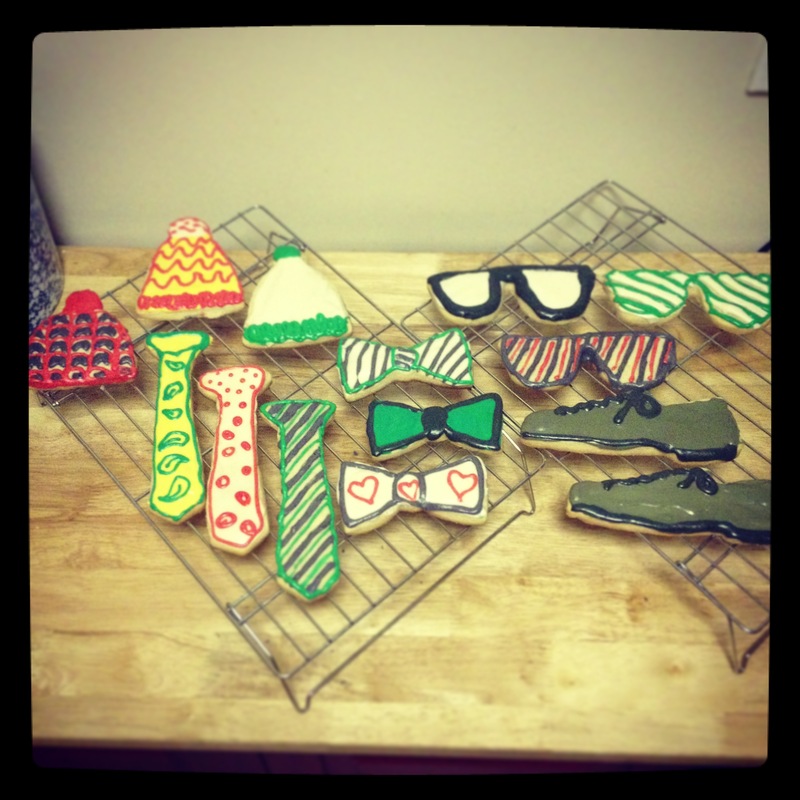 Exhibit A – Hipster Cookies. Bri and I had a great time talking with Mike, Dave, and Eric and really enjoyed getting to know them for the people they are, not just the things they do for us. We stayed until closing and went home happy and full, not just with food and drink, but with full hearts as well. Hi Renee, is there an e-mail address where I can reach you? I cover Astoria for DNAinfo.com and would love to write about your project. Drop me a line at: jevelly@dndainfo.com. Thanks!